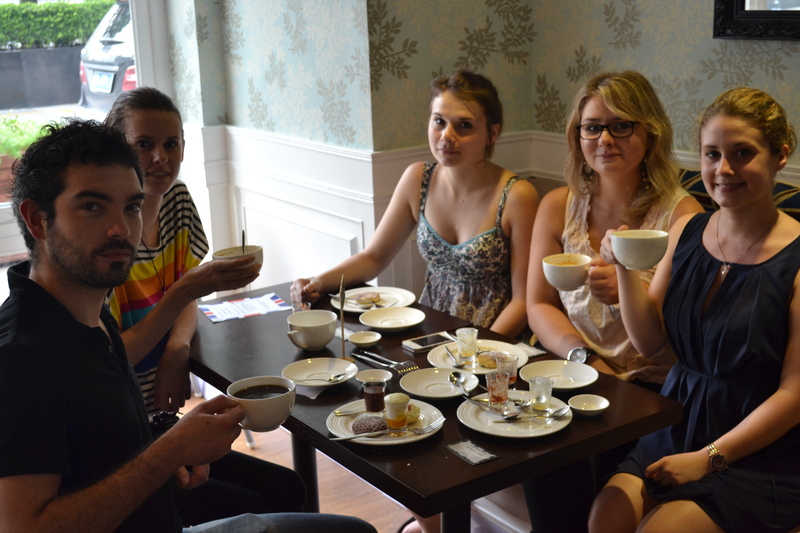 On Saturday August the 31st, SAOS organized a free coffee tasting for the launch of the Coffeeman’s Taobao shop (http://coffeeman.taobao.saos.biz/). 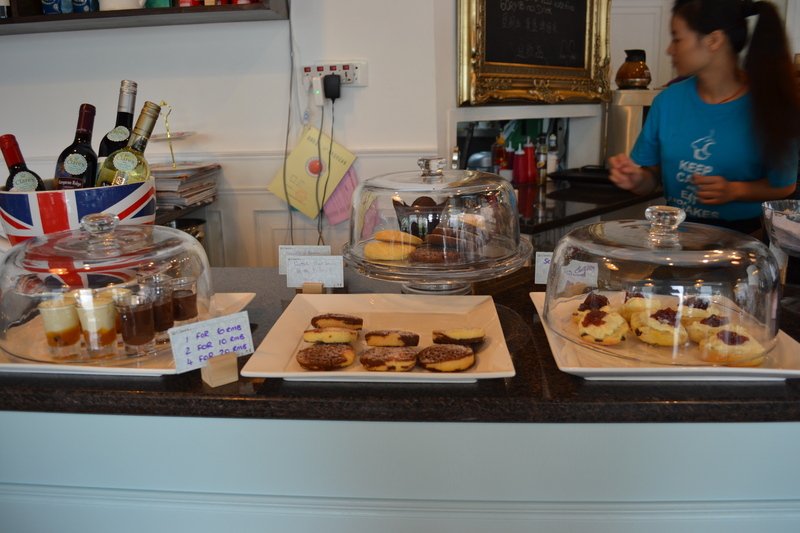 Thirty one people (including employees of the French Chamber of Commerce) went to enjoy free coffee and delicious little desserts especially made for the occasion by the Clare’s food restaurant: English scones, chocolate mousse, passion fruit mousse and “marbré”, were sold for 6RMB each. Espressos, americanos, macchiatos and lattes were made by the staff of the restaurant for the happiness of the guests as well as regular customers of Clare’s food. Coffeeman is a customer of the e-commerce service of SAOS (click here to know more about us). SAOS has created the shop on Taobao and the event was a way to promote the initiative. The goal of this event was to give the opportunity to people to discover the taste of the coffee from Coffeeman before buying it on e-commerce website. It is not easy to choose and buy coffee on Taobao or simply on internet, so people generally don’t want to buy new coffee as they don’t have the opportunity to taste it. 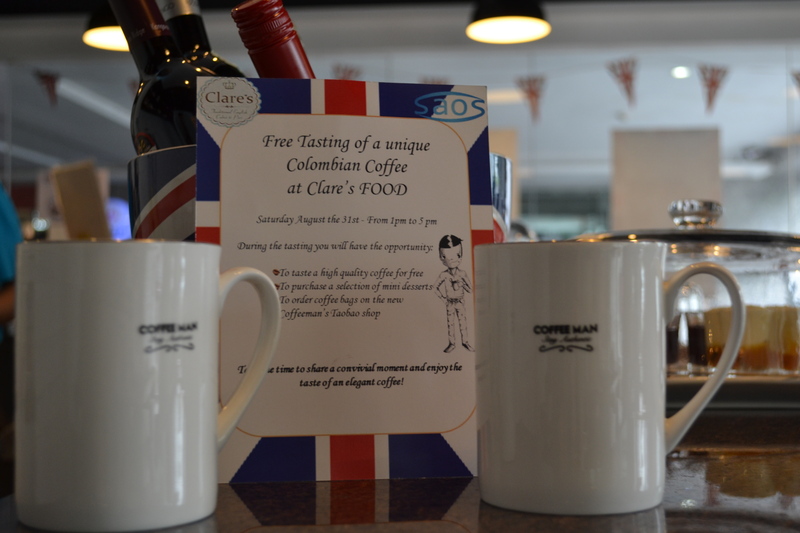 This tasting allowed people to try this new Colombian coffee and to enjoy a convivial moment in the lovely British restaurant Clare’s food localized in Shenzhen (Luohu). The coffee offered for the event was a Colombia Arabica, with delicate citrus notes, silky mouth feel and refined with hints of cocoa. It is directly imported from Colombia by Coffeeman. 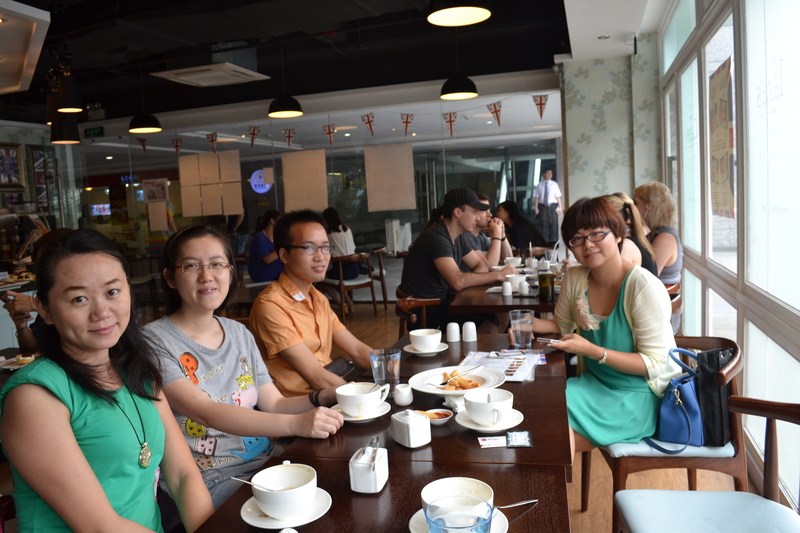 A lot of nationalities were represented during this event: English, American, Chinese and French. All liked the taste of the coffee, despite the fact that the tasty notion can be different from a culture to another one,which is an assurance of the quality of the product. Service de sourcing à budget fixe- Est-il normal que vos agents de sourcing en Chine se rémunèrent avec un pourcentage de vos achats? Pourquoi les fournisseurs ne répondent pas toujours aux demandes de prix?